Don't worry, just one more Dutch item and then I'll move on to bigger (and better?) things. But I really couldn't resist showing you my other sheetlet as well, which I took home with me after my recent trip to good old Dutchland. 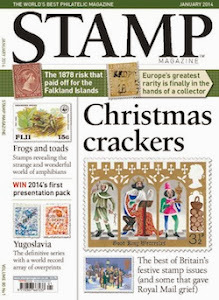 It's the 2012 issue for 'Stamp Day'. 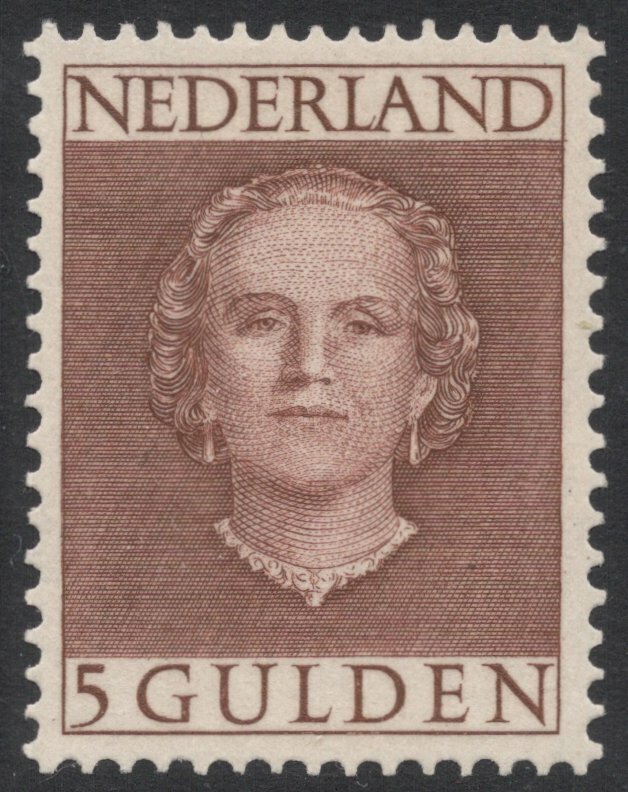 For some time, these anual Stamp Day issues have focused on previous Dutch definitives, usually showing rather unusual items, such as colour proofs and the like. 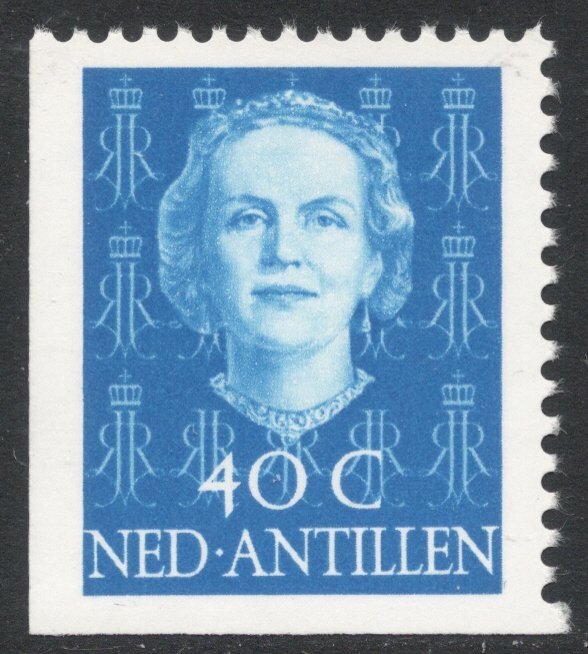 This sheet shows proof printings of the Juliana En face series which was introduced in 1949, it being Juliana's first definitive set after she became queen in 1948. And it is an important addition to that set, because it highlights interesting developments in the design. 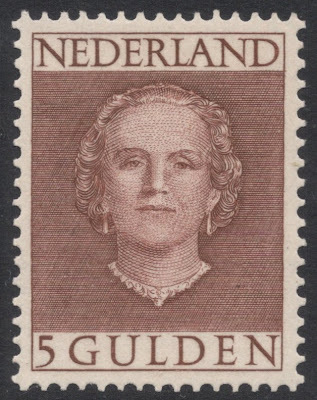 Just a little test: look at the basic design of the stamp (this is the Netherlands Antilles version but it's similar to the Dutch version). And now look at a later version (1979 to be precise) of that same design. You see any major design difference yet? Check the 2012 stamp once more and try again. No? Okay, I'll tell you. Juliana was a reluctant queen and hated all pomp and circumstance that went with her role. So when she saw the designs for 'her' new stamp, she baulked and insisted that the diadem be removed. And so it was. But the recess-printed high values had already been engraved and the 1 guilder value had already been printed! That went into the waste paper basket but there was no time to start a new engraving, so they tried to hide the diadem as best they could. As you can see, the diadem has been covered up and changed into hair but the head does seem sort of 'dented'. Not ideal, but it was the best they could do at such short notice. 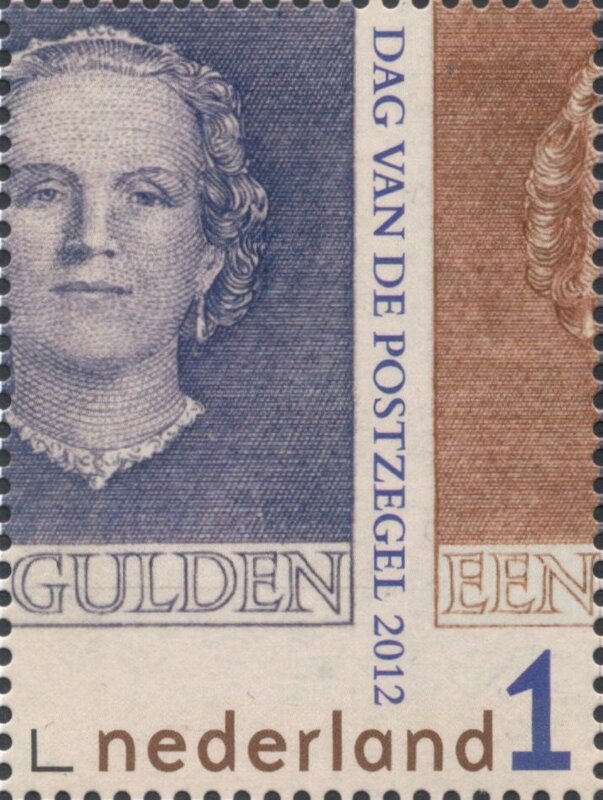 Other differences, also highlighted on the 2012 stamp, are that the lettering changed from outlined to solid, and the value was changed from words to numbers, to comply with UPU regulations. 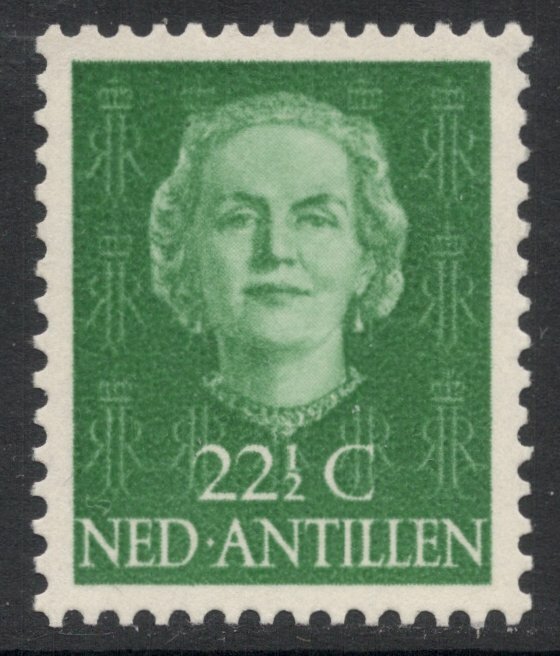 And that 1979 Antilles stamp? Well, that is a mystery yet to be solved. 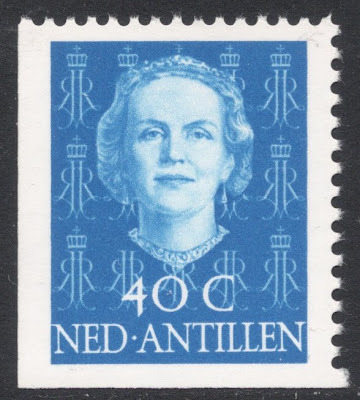 In 1979, to mark the forthcoming change on the Dutch throne (Juliana's daughter Beatrix would take over as queen in 1980), the Antilles reissued some old Juliana stamps, and for some reason, no-one yet knows how or why, they ended up using the unadopted version with the diadem still included! PS: Want to read more? Try and get hold of the April 2008 issue of Stamp Magazine, for this was actually the very first feature I ever wrote for the mag! Adrian, help me out here. I just don't get it. I look at a single stamp from the souvenir sheet. I see two-thirds of a stamp in blue...well, two-thirds minus the country name at the top. Then I see one-third in brown...of what, the same stamp in a different color? A different stamp? What conclusion am I supposed to draw from looking at those two fractions of a stamp? And on the souvenir sheet, what is that gray border supposed to mean? 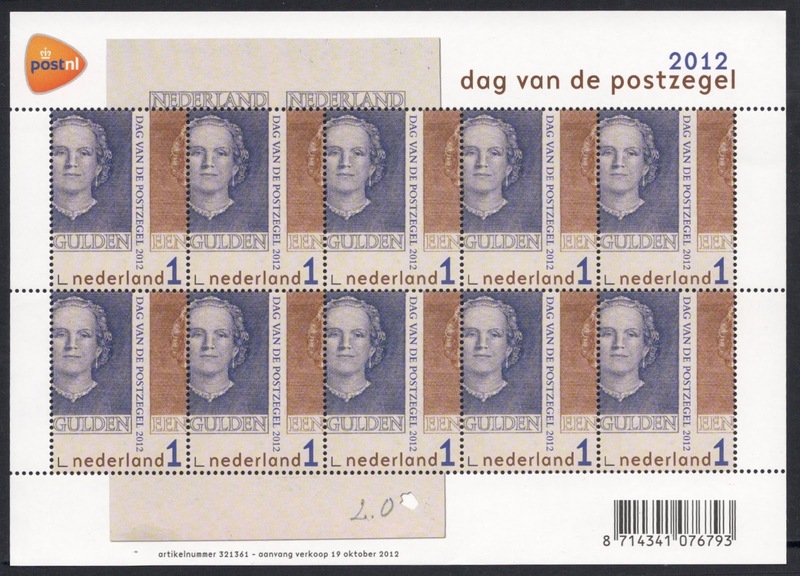 Ah, Larry, welcome to the weird and not always so wonderful world of modern-day Dutch stamp design! Don't worry, you're not the only one who's more than a little flummoxed. Actually, there's a campaign going on in Holland at this very moment, called "We want the whole picture and not this mishmash of images and perfs running riot". So try and ignore the two colours of the stamp, they're just design gone wrong. So basically the sheetlet shows ten times the same stamp in a sort of modern se-tenant way if you like. The grey bits in the margin is actually the original proof printing which included four (monochrome) stamps. So with a little imagination that original proof is included completely, but with the 'new idea stamps' superimposed on them. Sigh. 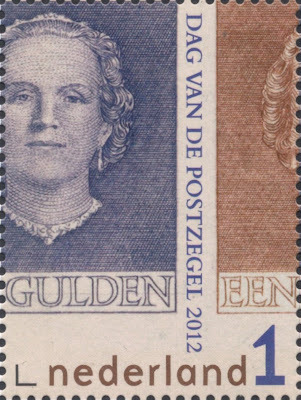 The only things I think important to note are the facts that the diadem is still included in the design, that the lettering is open rather than solid and that the value is given as 'een gulden' rather than '1 gulden'. And for that I'm happy to have it, otherwise I probably wouldn't have bothered. Methinks the "We want the whole picture and not this mishmash of images and perfs running riot" campaign needs a snappier title! If you include the margins of the sheet, you see actually 10 different stamps!